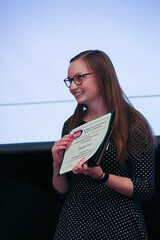 GREEN BAY — Lizzy Kroll, a Human Development and Social Work major, has been recognized as the University of Wisconsin-Green Bay’s Student Employee of the Year. 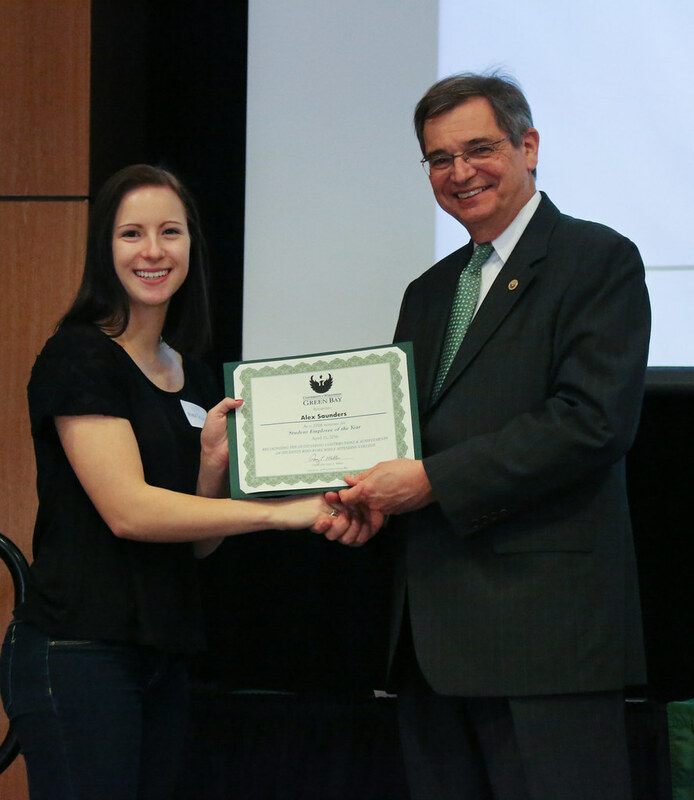 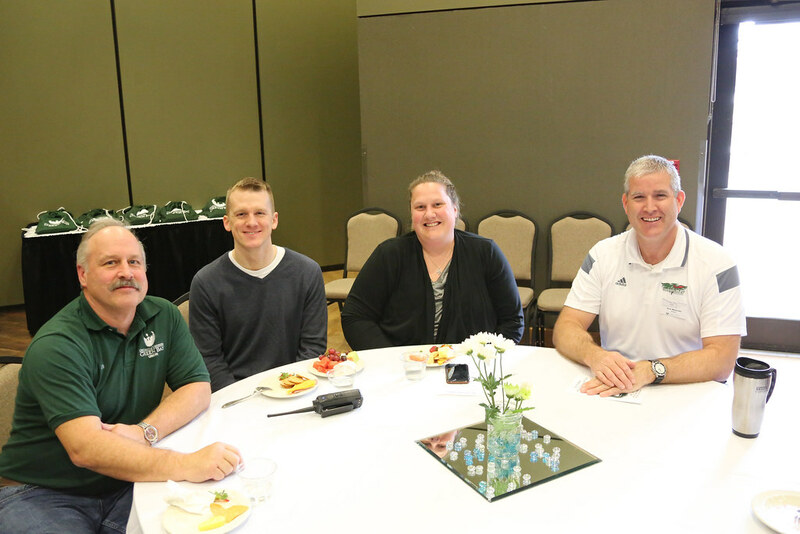 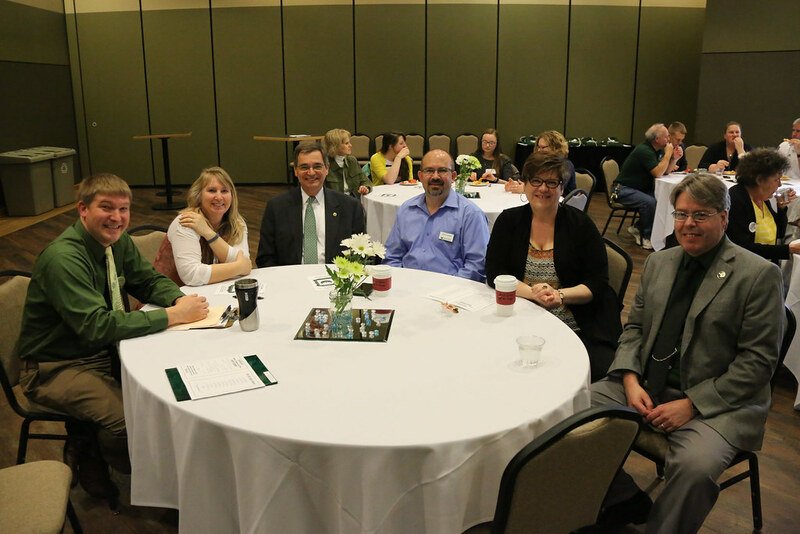 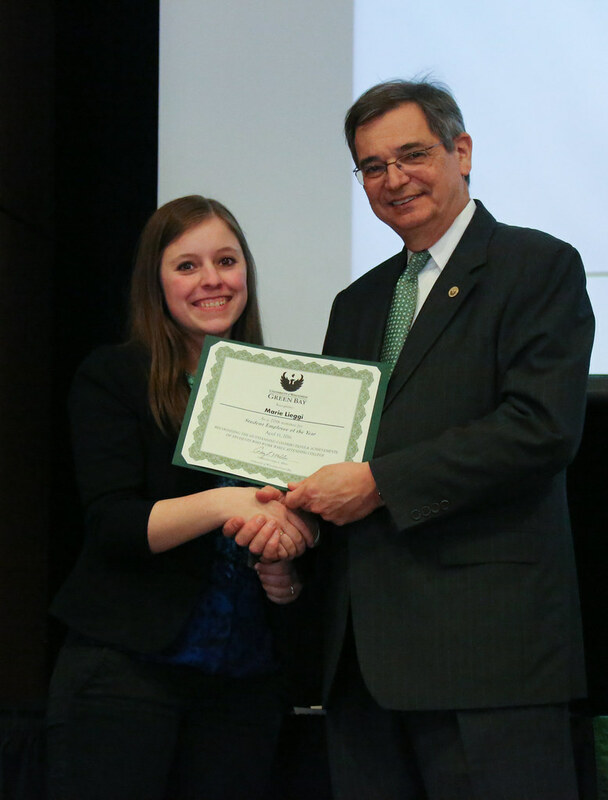 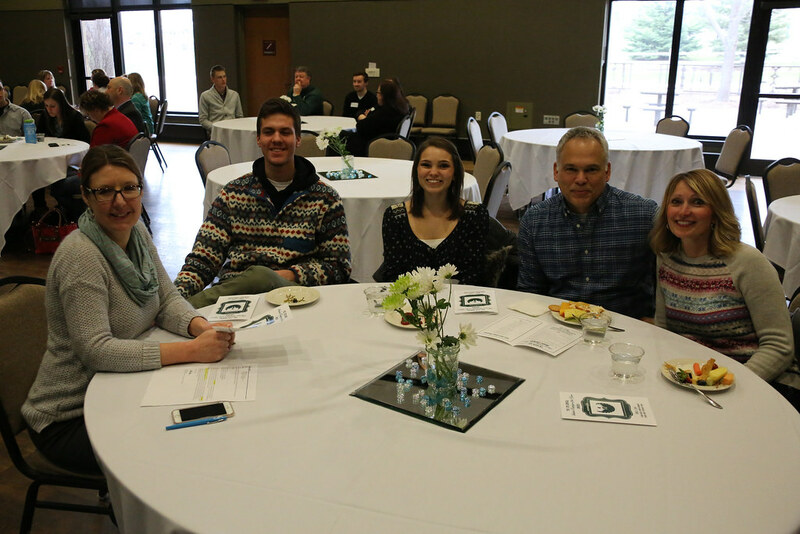 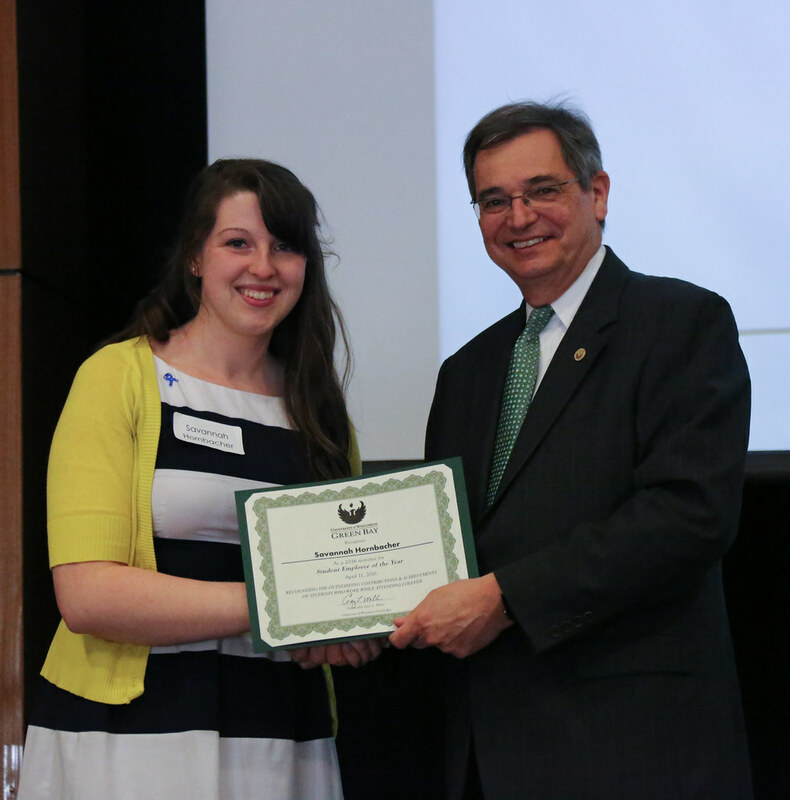 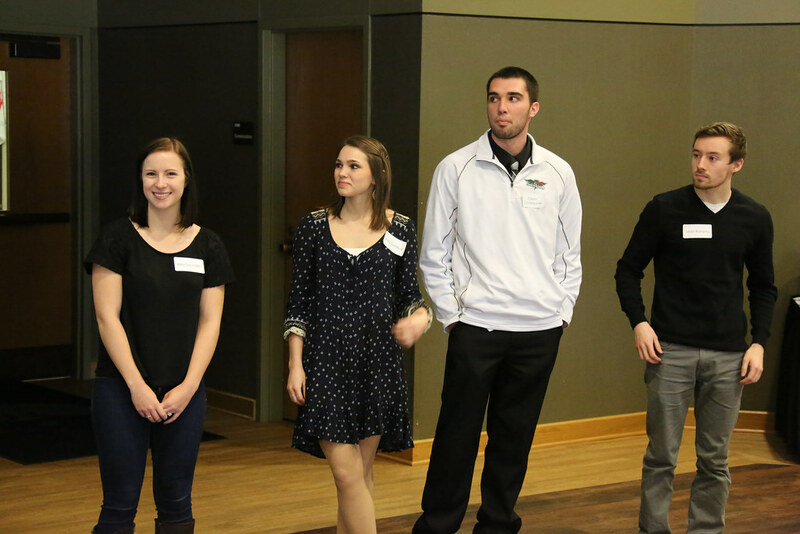 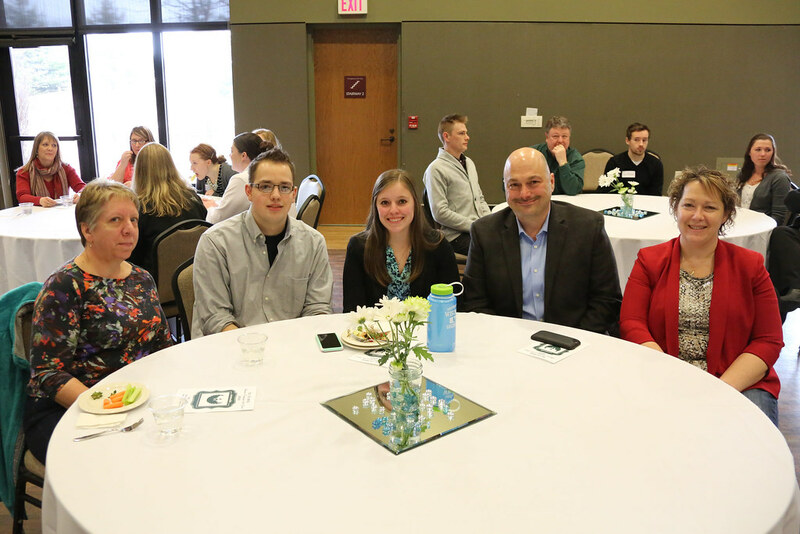 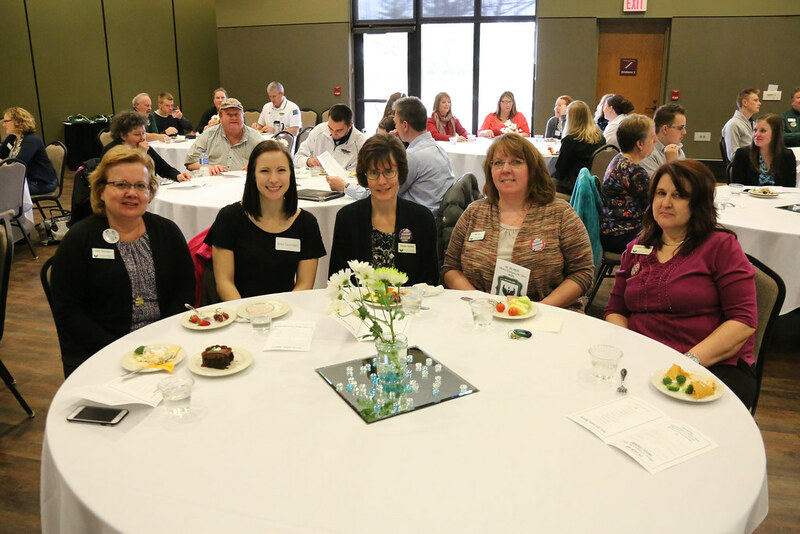 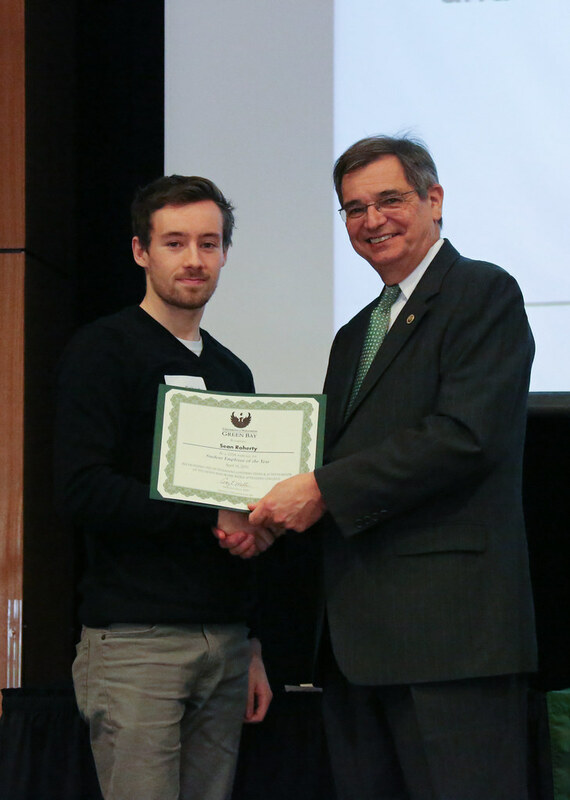 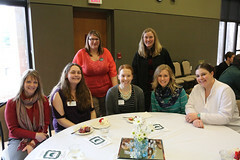 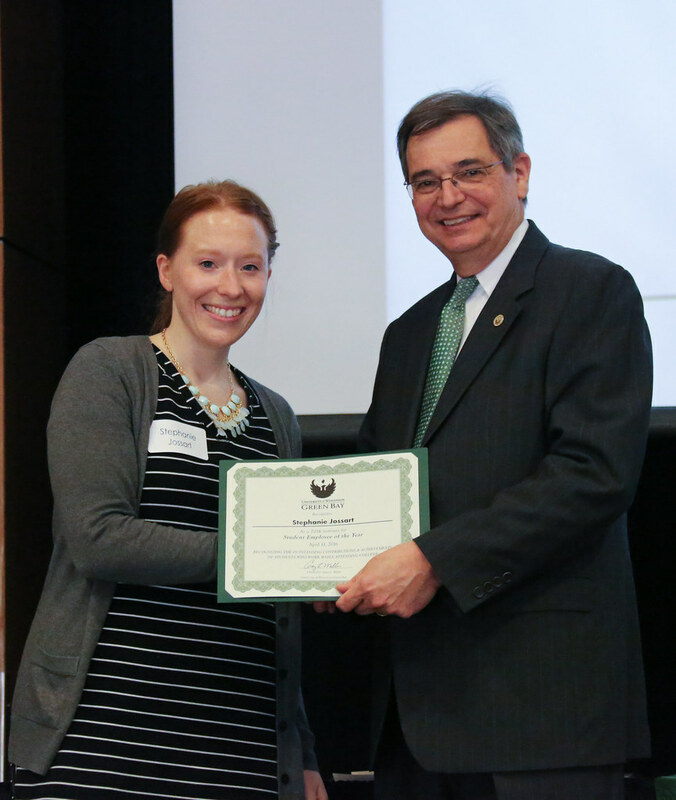 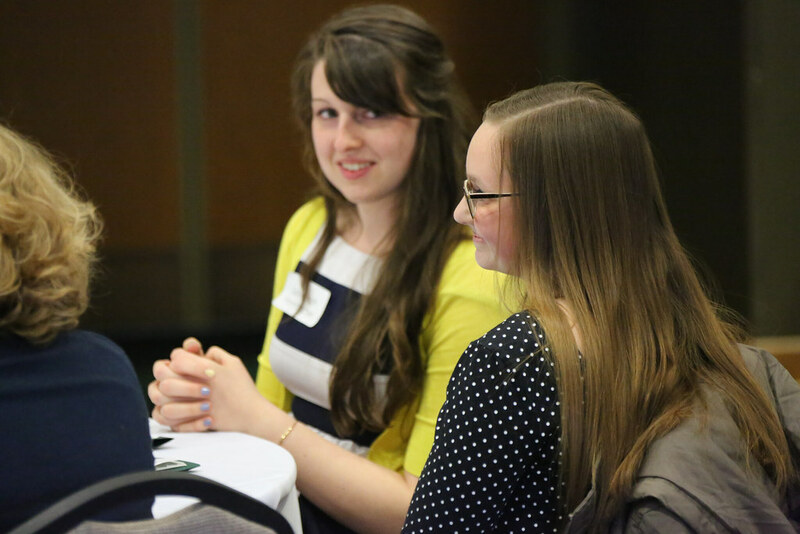 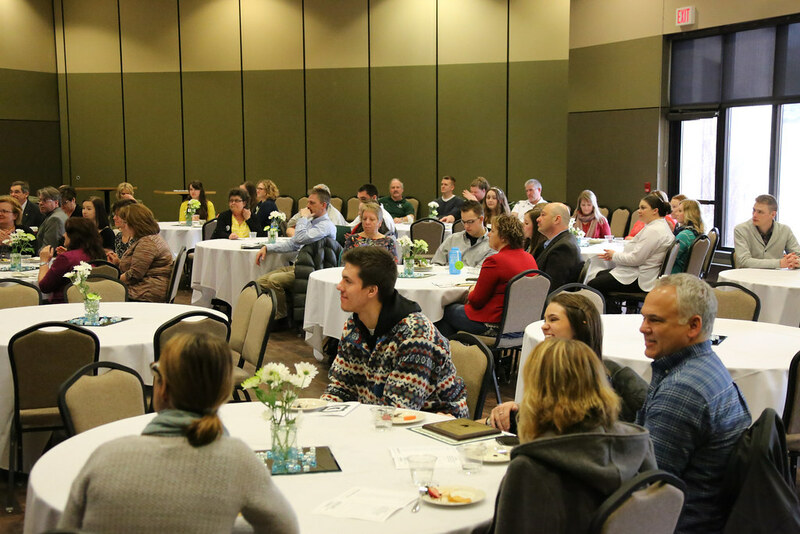 She received the recognition in an afternoon reception April 11, 2016, as part of a weeklong recognition of student employees and their roles on the UWGB campus. Kroll is one of 749 active student employees at UWGB, working in 1,035 positions on-campus and through the off-campus work-study program. 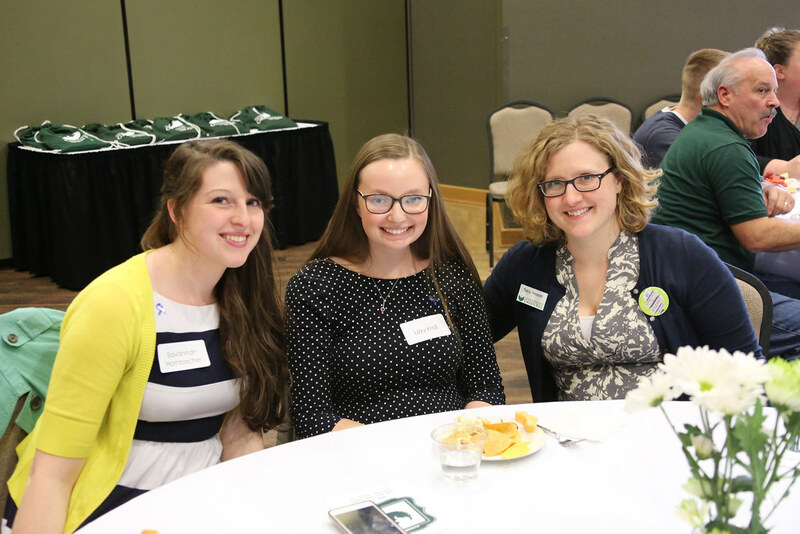 So far in the 2015-16 academic year, student employees have worked nearly 200,000 hours. 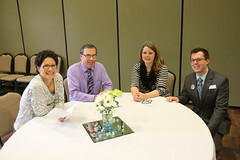 Development officer Tracy Heaser nominated Kroll, a phone-a-thon support person, for the Office of University Advancement. 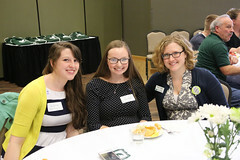 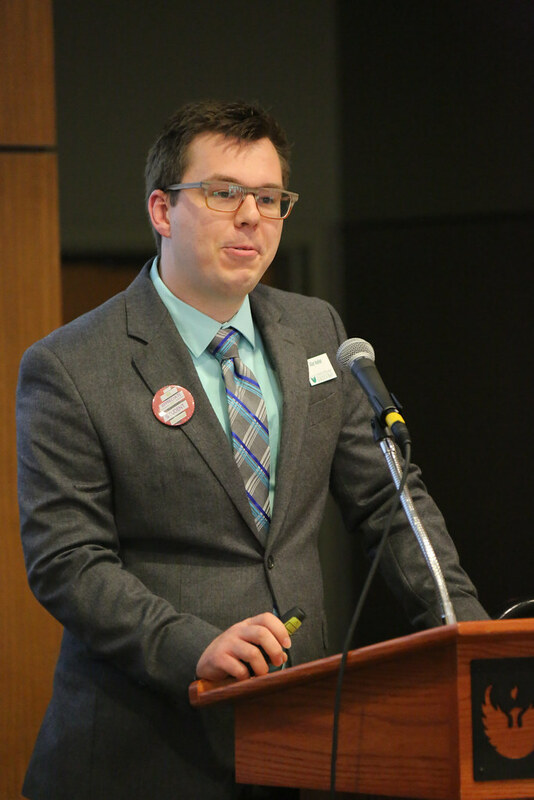 Kroll is responsible for supervising other student callers, providing peer support and evaluation, and adjusting scripts and processes to improve the experience for the callers and donors to UWGB. 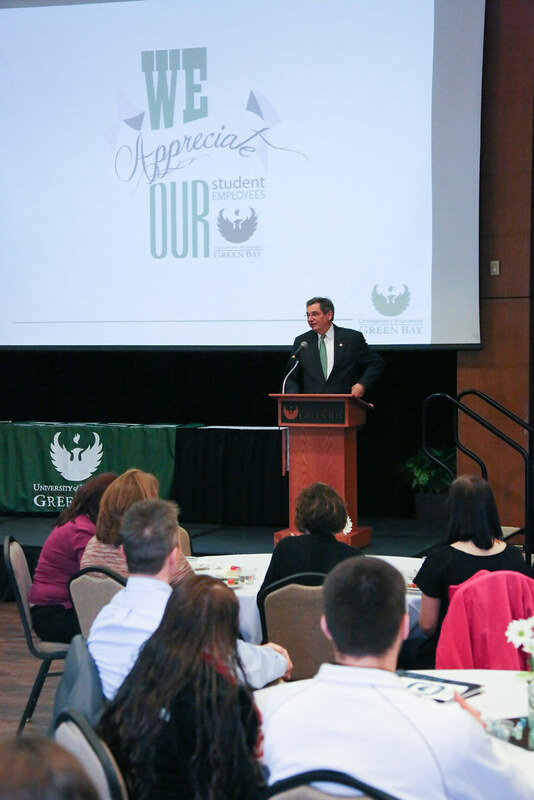 The call for nominations began in January when supervisors were asked to nominate their very best student employees from all across our campus. 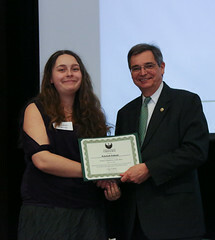 Student nominations were judged by a panel of six university faculty and staff who rated on a scale from 1 to 5 in the areas of reliability, quality of work, initiative, professionalism, and uniqueness of contribution. 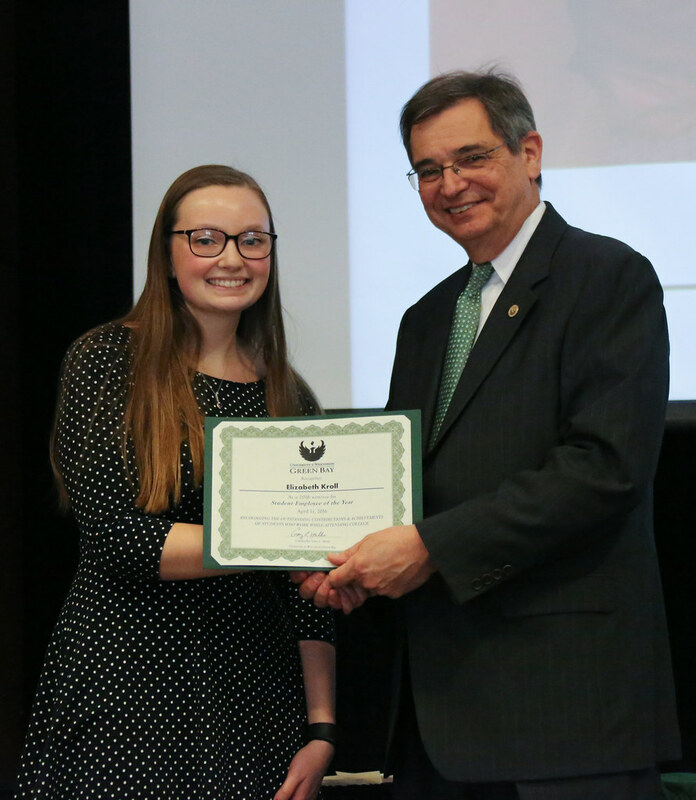 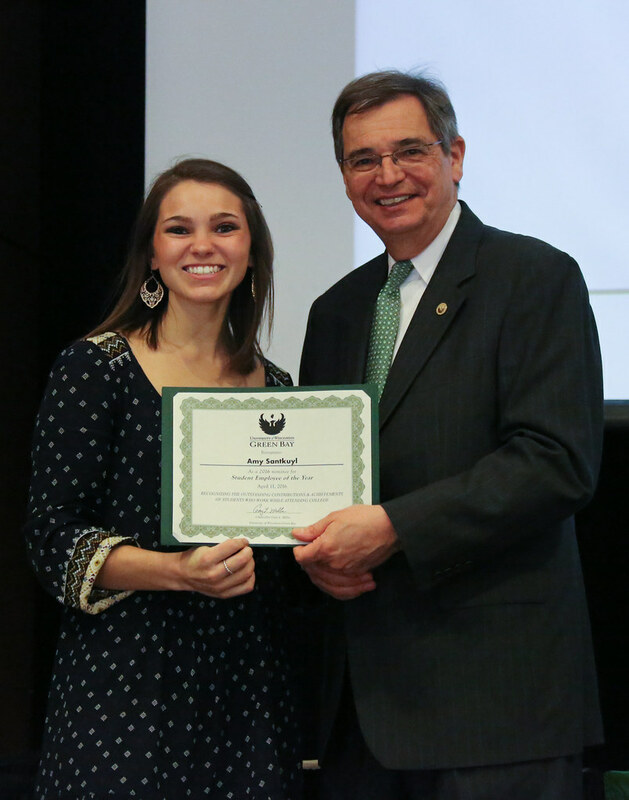 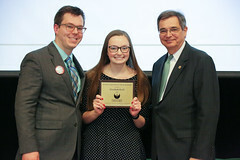 Kroll, a West Bend native, received a plaque recognizing her as the Student Employee of the Year and a $50 gift card to UWGB during a ceremony held on Monday, April 11. 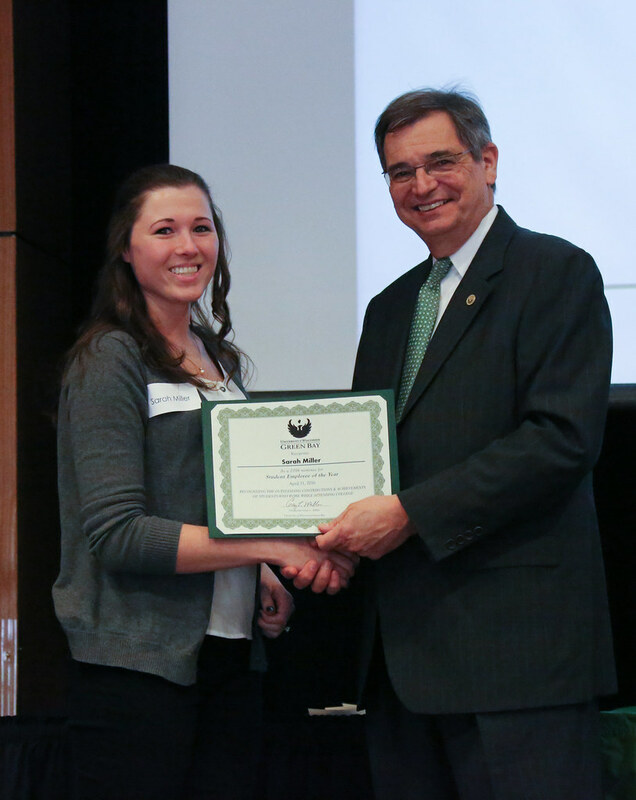 An additional plaque and a photo will be displayed for the next year inside the Office of Advancement announcing her title of UW-Green Bay’s 2016 Student Employee of the Year. 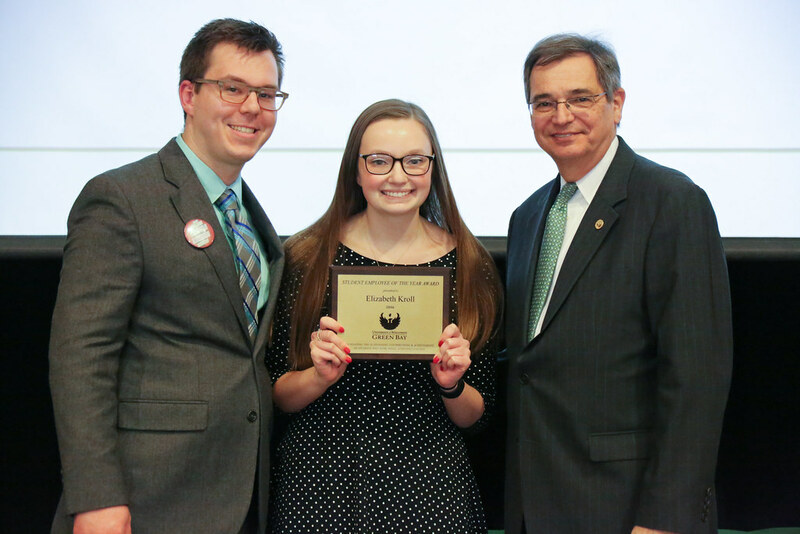 Her name will also be added to a plaque that hangs in Student Services. Kroll also receives a certificate from the Midwest Association of Student Employment Administrators (MASEA) that recognizes her as the winner in the UW-Green Bay competition, along with a letter of congratulations. 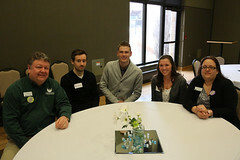 Student Employee Appreciation Week continues through Friday, April 15, with games and giveaways being held on campus. 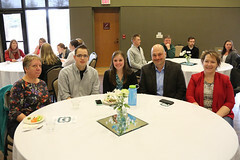 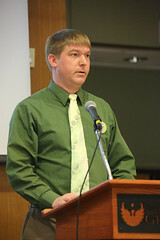 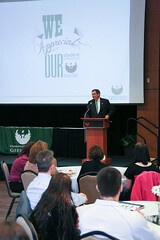 More information about the campus and national student employee recognition activities is available online at www.uwgb.edu/financialaid/employment/seoty/appreciation.asp. 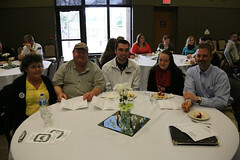 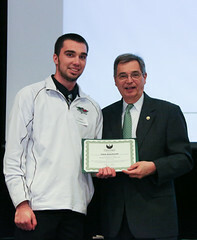 This entry was posted in News Releases and tagged Photos, student employee appreciation week, Student Employee of the Year on April 12, 2016 by Sue Bodilly.